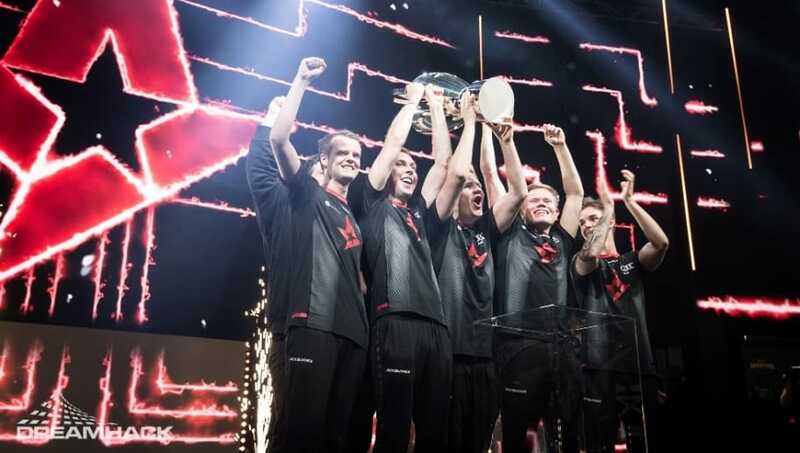 ​Danish Counter-Strike Global Offensive team Astralis won DreamHack Masters Marseille after defeating Natus Vincere 2-0 in the grand final Sunday. ​​The Danes had a near perfect tournament in Marseille dropping only one map to Team Liquid in the group stage. Astralis were perfect in the bracket though defeating top ranked FaZe Clan, IEM Katowice and WESG champions Fnatic, and ​Oleksandr "s1mple" Kostyliev's Natus Vincere each 2-0. Astralis' hand was forced into ​making a roster change when Markus "Kjaerbye" Kjaerbye back in Februay made a shocking move to rival squad North. To replace him, the ELEAGUE Major: Atlanta champion brought in ​former North and OpTic Gaming player Emil "magisk" Reif. Astralis notched its first win in the Intel Grand Slam by taking home Marseille. The Danish team has another chance to tie SK Gaming in the ​win column at the upcoming IEM Sydney May 1-6.